Date July 24, 2018 . 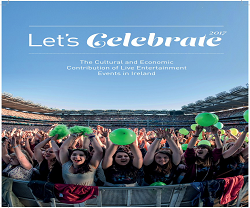 The Minister for Business, Enterprise and Innovation, Heather Humphreys T.D., today announced that the Government has agreed on legislative measures to tackle ticket touting. The proposed legislation would ban the above-face value resale of tickets for sporting and entertainment events in designated venues with a capacity of 1,000 or over. It would also prohibit the use of bot software to purchase tickets in excess of the number permitted by event organisers. The legislation will also give effect to the commitment given to UEFA to ban the unauthorised transfer and use of tickets for matches and official events taking place in Ireland during the EURO 2020 Championship. In order to implement these measures, the Government will support and amend the Prohibition of Above-Cost Ticket Touting Bill introduced by Deputy Noel Rock and Deputy Stephen Donnelly.